ARCTIC Breeze Mobile is a portable USB-powered cooling fan that brings you pleasant cool breeze for your personal space. It can be powered by tablets, laptops or portable USB power source such as power bank. ARCTIC Breeze Mobile space-saving design (8″x3.5″x0.9″) and light weight (at only 2.2 oz) means you can take it with you just about everywhere you go. The 92mm fan with low-noise blades quietly moves air at 1700 rpm, keeping your personal space nicely ventilated but most importantly without the distracting buzzing noise. It does not replace your traditional electric fan but is perfect for on-the-move as well as venues requiring the least distractions and noise such as office cubicles, classroom and library. 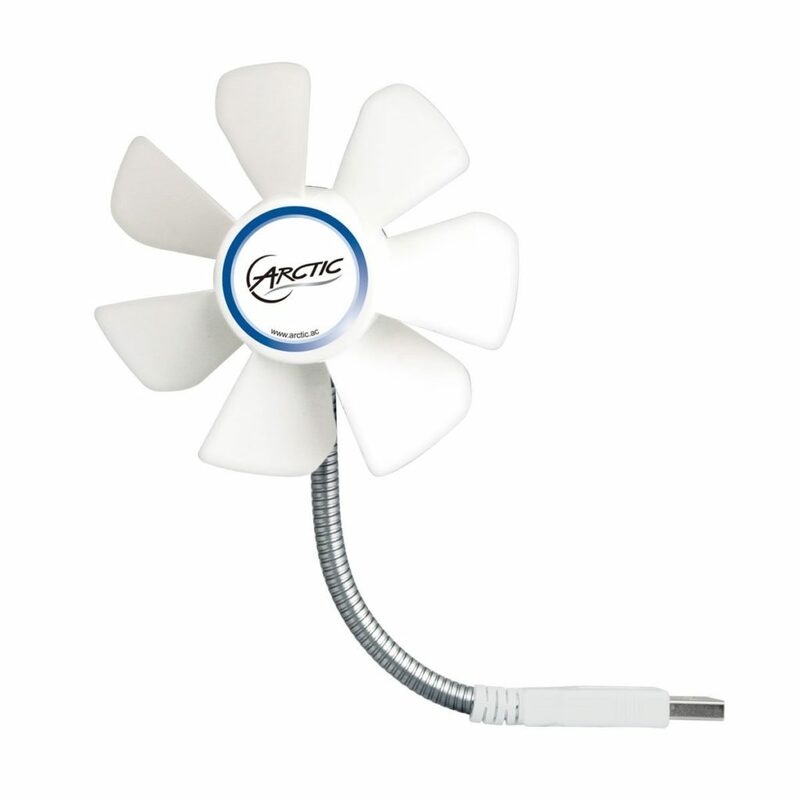 ARCTIC Breeze Mobile has a flexible gooseneck design allowing you to easily position the fan for your desired setting. ARCTIC Breeze Mobile is also ideal to provide almost silent yet effective external cooling solution for your hardworking game console. 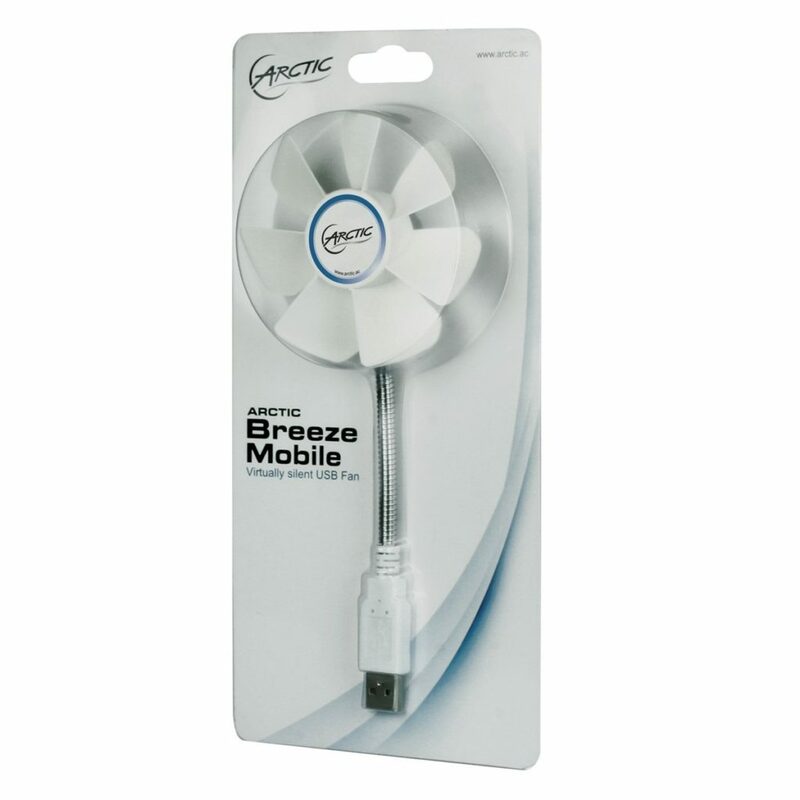 Simply plug the ARCTIC Breeze Mobile into one of the available USB port and position the fan accordingly. You can enjoy gaming without the distracting fan noise and extend the life of your game console. STAY COOL ANYTIME: The compact and light USB fan gives you a refreshing breeze in the hot days wherever you go and it spins up to 1,700 RPM to give more than enough air to make your stay in a cafe or inside the train cabin cooler and more comfortable. PLUG AND BREEZE: Connect it to a USB port of your laptop and enjoy the breeze. The flexible and adjustable neck makes the breeze flow any way you wish. VIRTUALLY SILENT: As the fan and the motor are adapted from ARCTIC’s successful case, it works in total silence and offers an excellent airflow as well. 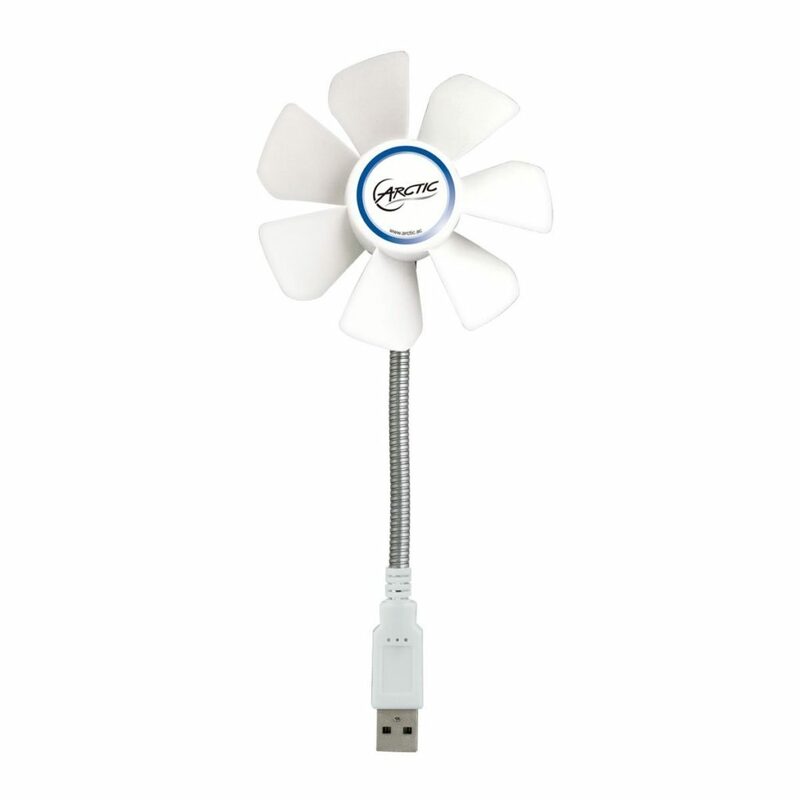 FLEXIBILITY: The flexible goose neck of this USB fan can easily be bent in any direction as desired. ARCTIC Breeze Mobile comes with a 2-year limited warranty.